Tantalum capacitors are electrolytic capacitors which use tantalum metal for the anode. They are polarized capacitors with superior frequency and stability characteristics. 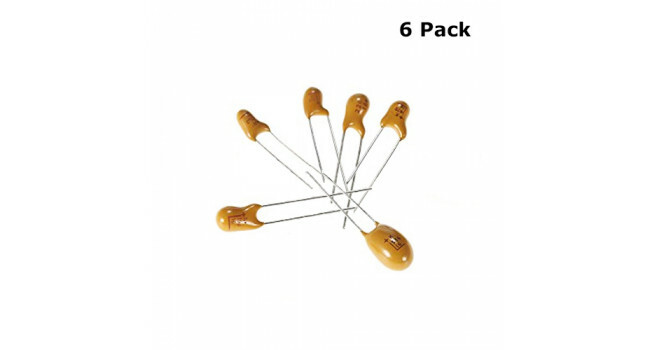 This Kit consists of 6 various Tantalum capacitors. 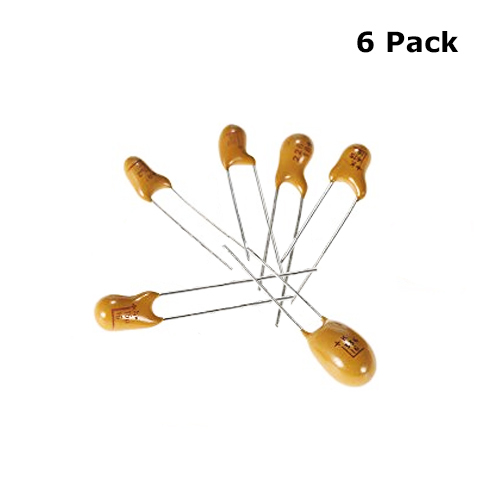 CAPACITOR (POLY) 100NF (10 Pack) Quick Spec Withstand Voltage: 100V Capacitance: 100nF Capacitance Tolerance: +/-5% Lead Spacing: 5mm Body Size: 7mm x 6.5mm x 2.5mm (L*W*.. Shipping List 10 x Capacitor 220uF 35V ..
Capacitor 100nF SMD 1206 (25 Pack) For hobbyist not looking for a complete reel of SMD capacitors we now stock them in smaller quantities of a 100 in the 1206 standard. Quick Spec Value: 10..
Horizontal Trimpot kit 100Pcs RM065 Horizontal Trimpot Potentiometer Assortment Kit With Storage Box Technology: Carbon Film 1 x 100Pcs 10 Values RM065 Horizontal Trimpot Potentiometer Assortment..
Multimeter clips These are standard alligator to multi-meter clips. Package contains a pair of red and black cables. Quick Spec Total lenght is 20cm Shipping List 2pcs(1 red..